Women Behind Bars Returning to the Community - Friends of Guest House - Read. Think. Act. (July 31, 2017) Catherine Read delves into the unique challenges of women who are incarcerated in Virginia’s jails and prisons and what they face when returning to their local communities – including reconnecting with their children, finding support for addiction, and finding employment. Friends of Guest House based in Alexandria, VA, is a residential program that can accept 26 women at a time into their residential program. Founded in 1974, this program has helped about 3,000 women and their 4,000 children while accepting only 17 women at a time, until very recently when the program expanded to 26 residents and expanded from 3 months to 6 months. 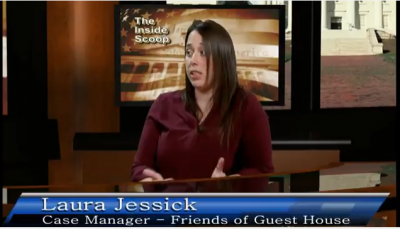 In the first segment of the show, case worker Laura Jessick outlines some of the broad challenges these women face and how the Friends of Guest House residential program works to successfully support them through their transition. In the three segments following, Trystika, Kimberly and Alexis talk about their experiences while incarcerated and the challenges of trying to cope with life behind bars. One of the most basic challenges is managing their monthly menstrual cycles without access to adequate supplies – including underwear. We explored this topic in an earlier show with Holly Seibold of BRAWS – Bringing Resources to Aid Women’s Shelters. The lack of medical care and basic necessities for incarcerated women is an issue that the ACLU has brought forward in other states with a case in Michigan still pending. Another key differentiating factor is that nearly 80 percent of women in jails are mothers. ** Unlike incarcerated men, they are by and large single parents who are solely responsible for their young children. While much of the discussion around mass incarceration in this country has focused on the high numbers of men of color in our prisons, there has been little discussion about the explosive growth of women behind bars and the trauma that they endure there. 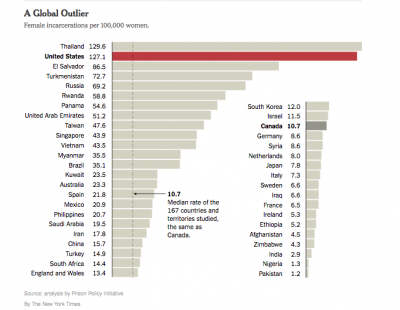 Only Thailand incarcerates women at a higher rate than the United States. And the statistics don’t begin to show that many of these women are victims of trauma, with 86 percent reporting that they experienced sexual violence in their lifetime. Another staggering statistic is that while women make up only 13 percent of people held in local jails, they make up 67 percent of victims of staff-on-inmate sexual violence. Traumatized when they arrive, traumatized while incarcerated, these women have major hurdles to overcome when they are no longer behind bars and must navigate their way back to a sustainable life on the outside without the support of treatment programs and services to help with affordable housing, workforce development, healthcare, transportation and support for their children. This is where the Friends of Guest House have a proven track record of helping women to get their lives together in a way that is sustainable. While national recidivism rates are around 70 percent, for those who complete the Friends of Guest House residential program, that rate is less than 10 percent. Scant attention has been paid to the struggles of women behind bars, the explosive growth in their incarceration, and the many social-economic-racial factors that have led to this national crisis. One fact alone should give this nation pause: an estimated 2.6 million children have a parent behind bars. When that parent is their only parent, we are almost ensuring that the cycle of poverty and prison will continue and will grow. There are alternatives to incarceration and more can be done for the women who find themselves incarcerated. It’s incumbent on us to do more both nationally and locally.